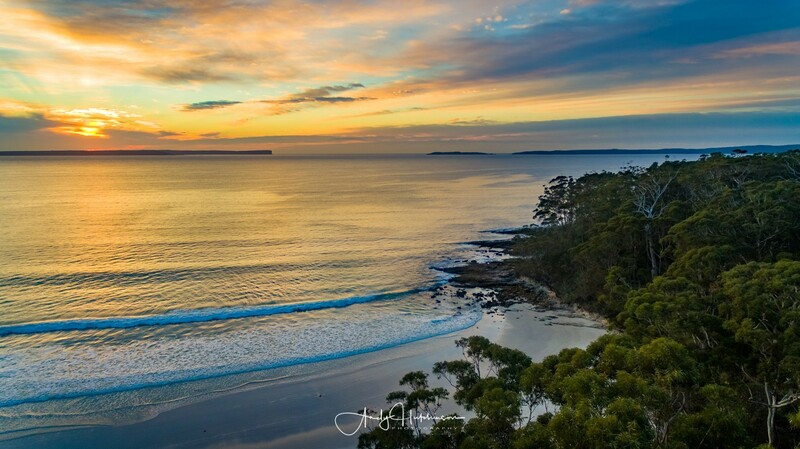 After checking the cloud forecast last night I thought there was a good to moderate chance of a decent sunrise in the morning and so I elected to go slightly further afield. 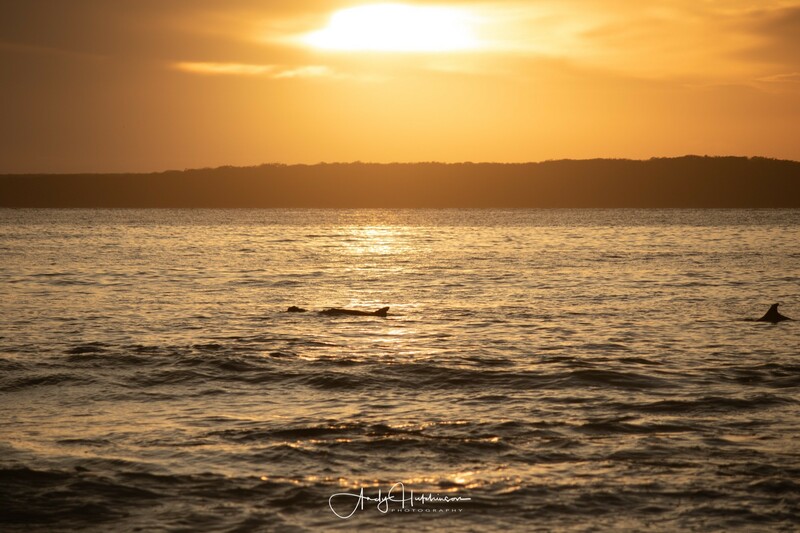 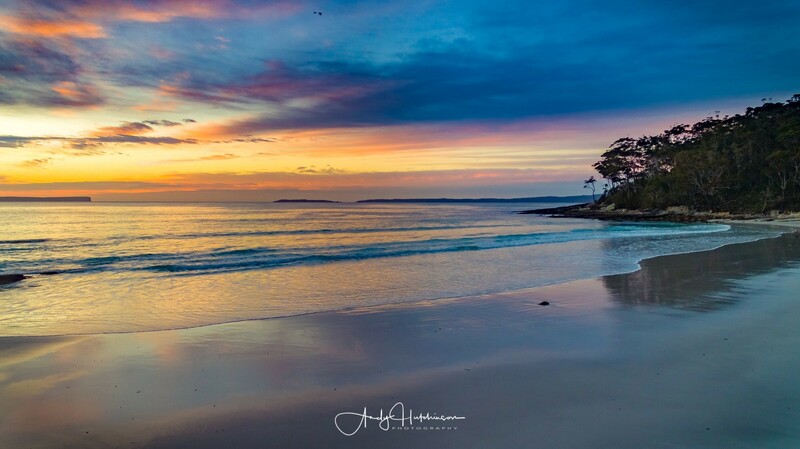 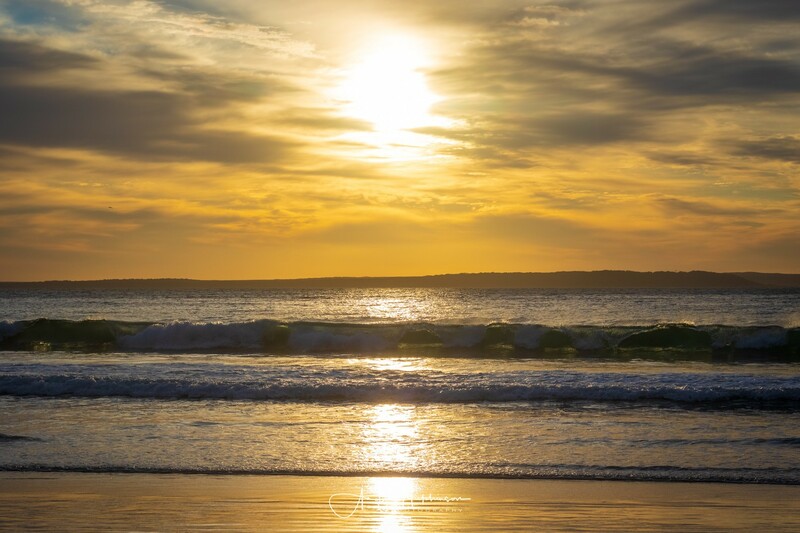 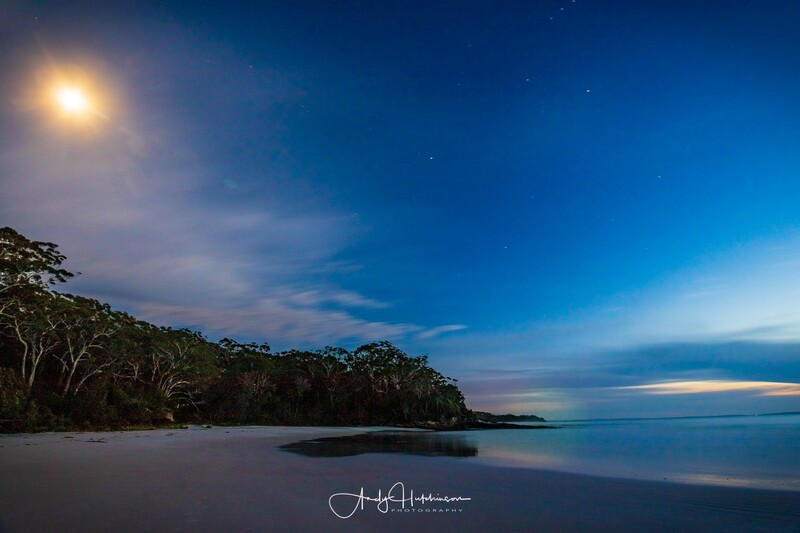 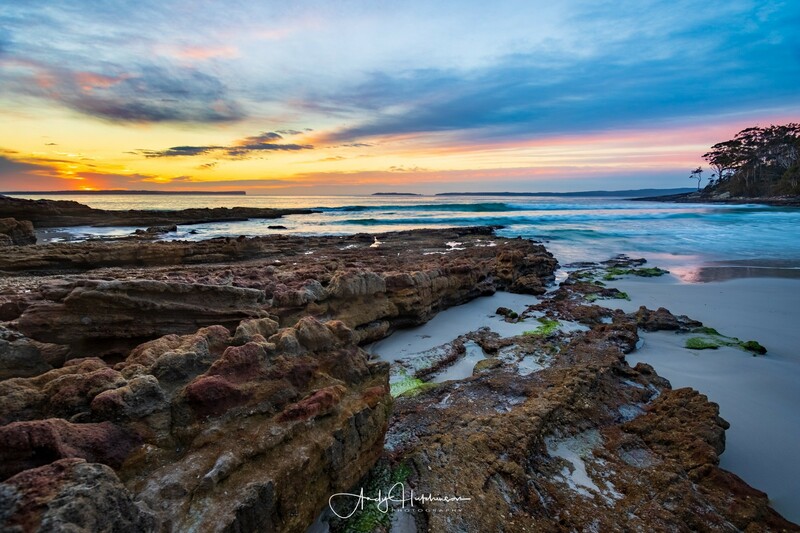 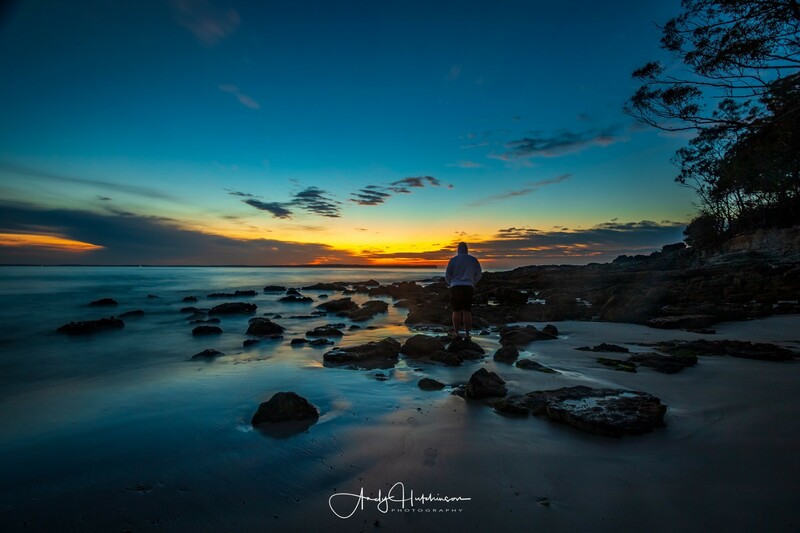 I decided to head down to Jervis Bay and pay a visit to one of my favourite beaches on the bay – Blenheim. 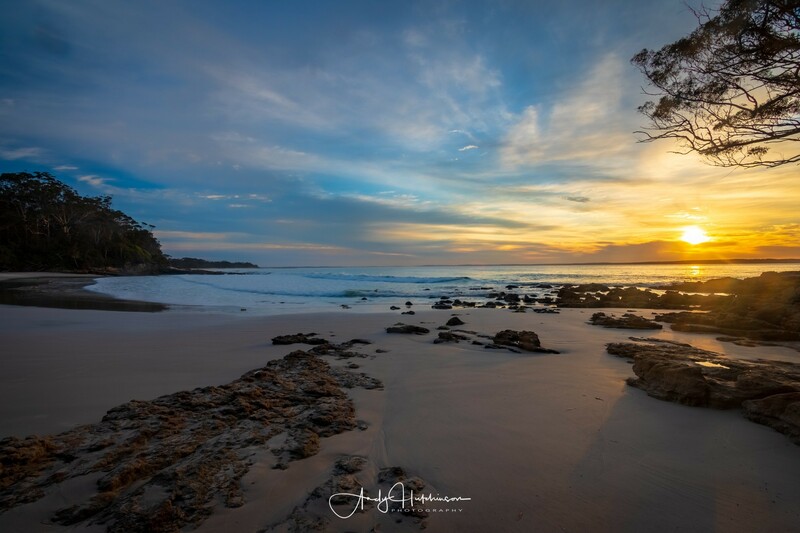 This is one of the awesome white sand beaches at the southern end of Vincentia and looks stunning at any time of the year. 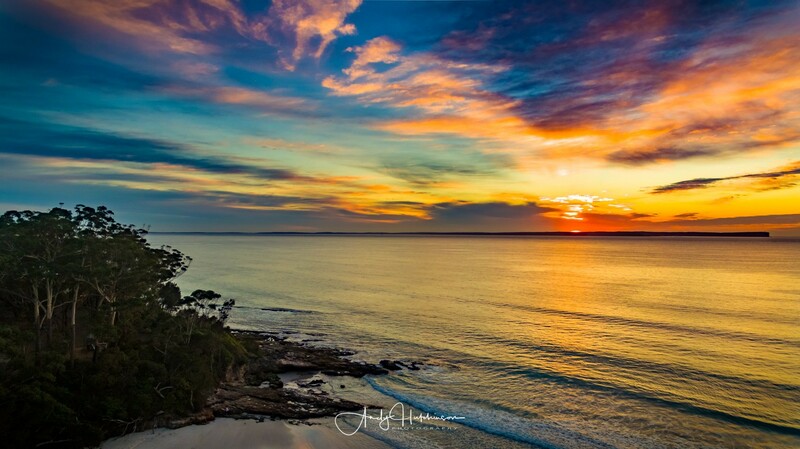 I set the alarm for 5am, but I didn’t sleep very well and was up and out of bed by 4:30 and in the car and driving south not long after. 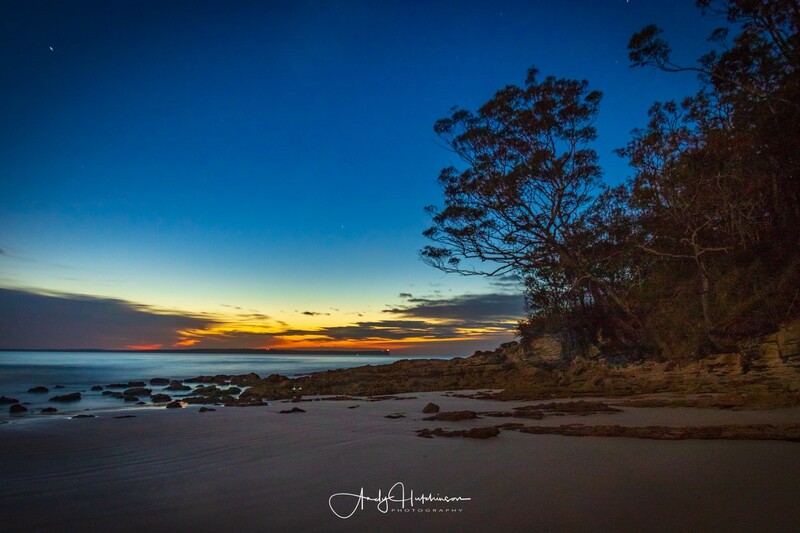 I got to the beach well before first light and finished off my Macca’s latte in the car park while waiting for the first glimmer of light on the horizon. 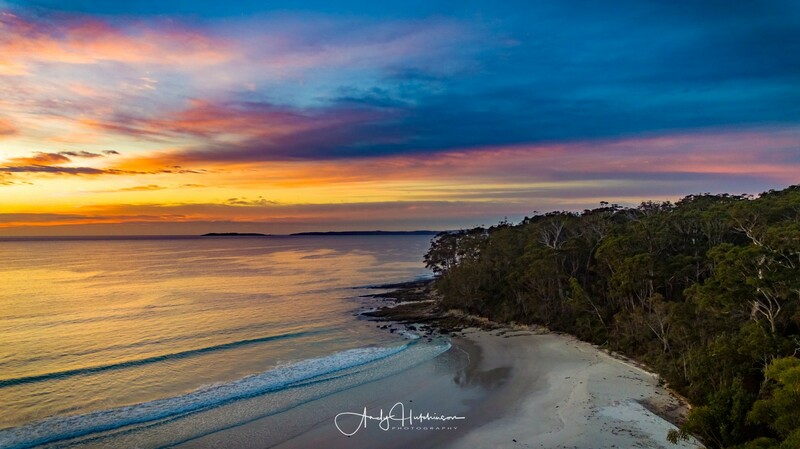 It turned out to be a good sunrise – not the high cloud cover I’d hoped for, but enough to provide some colour to the dawn display. 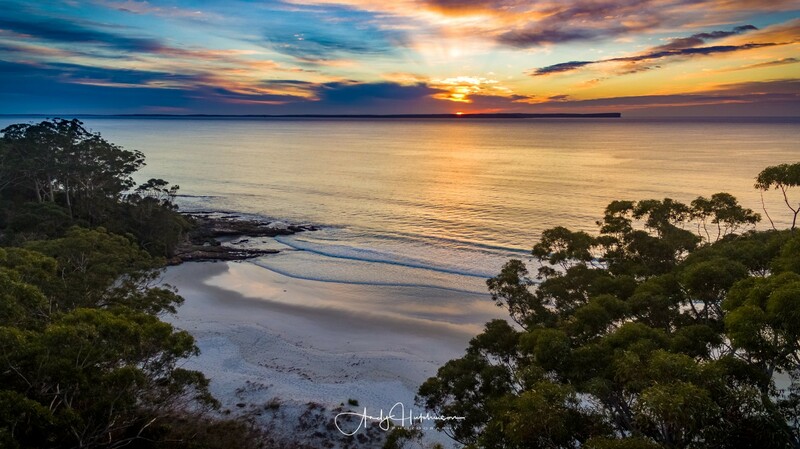 Blenheim is one of a handful of pocket beaches on the western side of Jervis Bay. 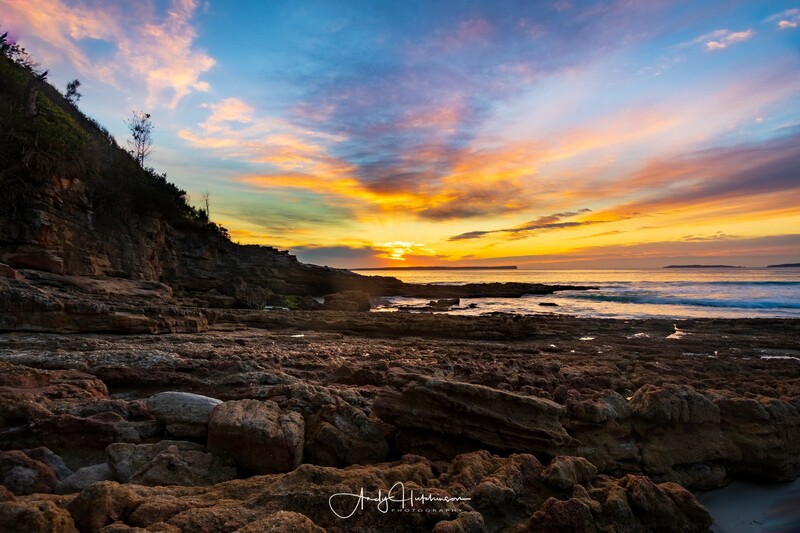 Located in Vincentia, it’s a gorgeous deep arc of white sand, book-ended by rocks and bushland.